The First sponsorship deal of Pocket Miner! 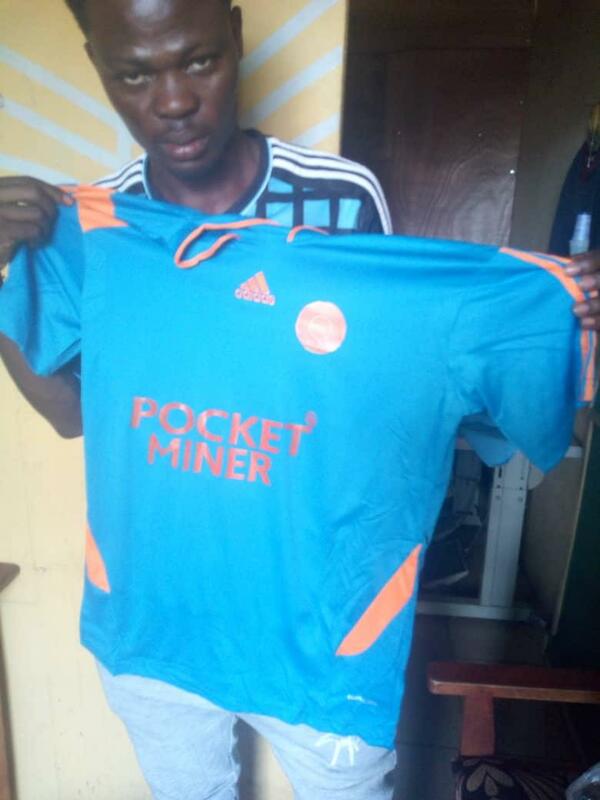 The First sponsorship deal of Pocket Miner as a brand has been Negotiated and Finalized by Benjamin of Great Computer and Communications our exclusive Distributor for Nigeria! Pocket Miner will be the official sponsor of Delta Sate Football Club a junior league football team in Nigeria which plays in the region where Benjamin's Distributorship is located! From now on the club will be called Delta State Pocket Miner FC! This is amazing news! This is very good news! He is creating handouts saying "Pocket Miners Launching Soon! ", to be distributed during the first match after the sponsorship! See the first pic with 'Pocket Miner' printed on the Jersey of the team! This is an amazing start for Pocket Miners in Nigeria! Well done Benjamin! Outstanding commitment and preparation for the launch of Pocket Miners in Nigeria! I am sure we sill do extremely well in Nigeria under the leadership of Benjamin!